Where do you see the most demand for automation in the rates trade lifecycle? Automation permeates every aspect of modern-day life, and, while it is well integrated into the sell-side work flow, it has lagged conspicuously in the operations of buy-side fixed income traders. This is most noticeable at the point of trade, which is arguably the most important moment in the buy-side work flow. While we are very familiar with electronic RFQs, there is so much more we can do. For that reason, MTS has been working with a number of buy-side clients over the last 18 months to create an advanced rules-based engine. MTS BondVision’s new MTS Auto Execution protocols allow the buy-side to trade safely, efficiently and in a more controlled and cost-effective manner. What are buy-side firms looking to gain from increased automation? Automation is all about efficiency. One of the first steps we took in developing MTS’ automation tools has been to study the workflow of our clients. We literally counted the clicks, observing our clients in their everyday working environment. This allowed us to properly understand where the pain points were and how automation could improve their working patterns. These observations have enabled us to develop efficiency tools ranging from the examination of pre-trade data to executing large list trades. MTS Auto Execution, one of the most important features in the BondVision platform, takes automation and efficiency one step further, helping the buy-side to organise and maximise its work flow gains. Today, the demands on the buy-side are greater than ever. It is being asked to trade in an environment where central banks and global politics can have a big and unpredictable impact on the market. At the same time, the sell-side is carrying less inventory, and everyone is being asked to achieve more with less resources. 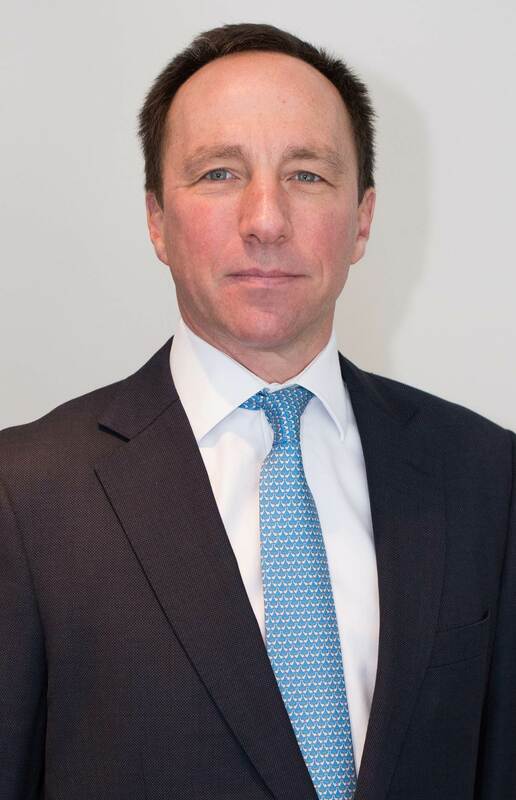 On top of this, regulatory scrutiny is more intense than ever, with firms having to clearly demonstrate that they are trading error free and justifying best execution on every trade. We see our role as providing the tools to help clients navigate this environment. MTS Auto Execution is a key part of that, enhancing the investment process by allowing low-touch trades to be automated, freeing up more time for working on the complex trades that can provide more added value. Beyond this, the MiFID II best execution requirements ought to create another strong incentive for using automation tools for execution. Automated execution can certainly make an important contribution towards meeting MiFID II best execution requirements. By relying on machine automated rules, traders remain disciplined in their execution and ensure that no errors or unconscious biases slip into their trading decisions. What are the components to achieve those objectives? First, you need the support of smart and dedicated people who really understand the investment and execution processes. People are always going to be key to trading success. That’s why, at MTS, we’ve taken the approach of developing technology aimed at making people more productive, not trying to replace them with machines. Secondly, you must have quality data. Everyone has heard the adage, “garbage in, garbage out”. That could not be truer when it comes to trading. No automated execution strategy is going to be effective if the data used to set the parameters isn’t accurate. In fact, making decisions, whether automated or not, based on incomplete or inaccurate data can be extremely dangerous, potentially leading to the wrong investment or execution actions. One of the unique aspects of the MTS offer is that we enable users to directly reference streams of live executable prices from the MTS cash order books. They can then use this immediately to set firm limits on when and where to execute, safe in the knowledge that their decisions are made on real, not indicative, pricing. Finally, flexibility is very important. In trading, one size does not fit all. Markets change, and traders need to be able to amend their automated execution rules in real-time. That is why MTS gives asset managers complete control over not only “who can trade”, but also over the ability to create, amend or lock down trading rules in real-time. It is no good having a system which takes 24 hours or more to update the execution rules, because markets change and investment opportunities disappear. This means the trader needs to be able to update the rules and parameters of their execution algorithms in real time, allowing them to be responsive to changes in market conditions. Has MiFID II led to an increased demand for automation tools? Automation can play an important role in supporting firms to meet their MiFID requirements. In fact, regulations are increasingly pushing some firms towards greater automation. Regulation encourages market participants to re-examine their trading processes and to look for efficiencies in their workflow. This in turn has driven demand for automation tools. MTS Auto Execution allows clients to do more with less and to execute in a more reliable, auditable and systematic manner. MTS Auto Execution can also support clients in meeting their regulatory requirements by allowing them to codify their best execution requirements into their execution rules. For instance, dealer selection on the RFQ can be done in a more reliable, data-driven manner with execution taking place only when a client has at least “X” quotes in competition and the best quote received is sufficiently close to the mid-price or pre-set parameters in a particular market. When we talk about the rates markets, there is enormous variation between different markets, be that the G10 or the US for example. How do you see automation playing differently in those environments? It is no surprise that automation has made the biggest impact in the most electronic and standardised markets first. Equities, FX and US Treasuries already have high electronic volumes and deep liquidity. This means that there is a high volume of data to guide the automation, and – with so many low-touch trades – significant early productivity gains to be made by automating less complex trades. Now, however, data sources are improving outside of these markets. We’re seeing a greater volume of electronic trading across most government bond markets and we are seeing the sell-side improving its own algorithmic trading capabilities. These factors are creating an environment which allows automation to contribute in more complex markets. We saw that first in the investment-grade markets, but now we are seeing it move to the high yield and emerging markets. Clients will often start by trading in the most liquid and smallest instruments in their market, but once their confidence in utilising these tools grow, so does their appetite. What differentiates your auto execution tool from those of your competitors? We spent the last 18 months collaborating with a number of key accounts on the development of our MTS Auto Execution tool so it is very much a tool and a framework designed by traders, for traders. We redesigned our platform to allow clients to directly configure more than 25 parameters with the flexibility to update their rules in real-time as market conditions fluctuate. 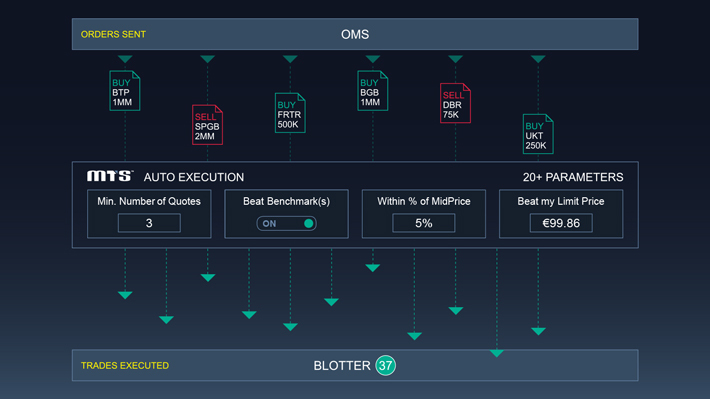 Integrating live pricing from our interdealer markets into the tool, allows clients to reference not only indicative pricing but also firm pricing levels at the point of execution. Clients recognise and appreciate this level of control and ease of use.